Nazem Hamadi is an active human rights defender and a poet. 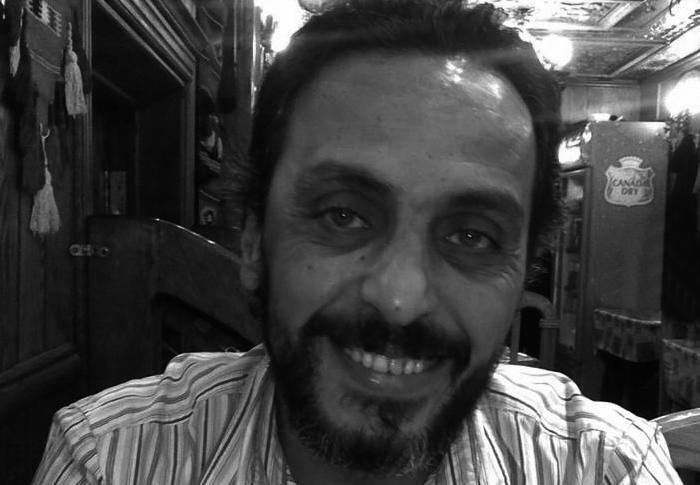 On 9 December 2013 he was along with three colleagues (Samira Khalil, Razan Zaitouneh and Wael Hamada) abducted by masked armed men and taken to unknown whereabouts. They were kidnapped from the office for the Violations Documentation Center (VDC) and the Local Development and Small Projects Support (LDSPS) in the Damascus suburb of Douma, part of Eastern Ghouta, an area under the control of a number of armed opposition groups that is being besieged by government forces. The VDC is an independent non-governmental organization that has been mainly documenting human rights abuses committed by the Syrian government in the context of the conflict. The LDSPS provides humanitarian assistance, particularly to medical centres in areas like Eastern Ghouta. His current fate and whereabouts are unknown.